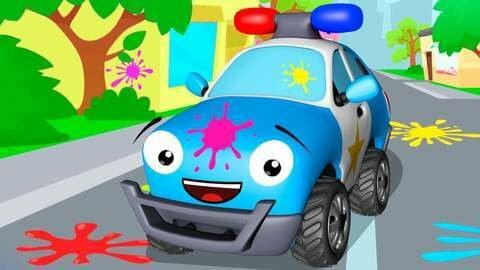 We present you a new super car cartoon for kids about Blue Police Car that plays paintball with a Monster Truck! Friends shoot balls, painting the city in bright colors and making a real mess. Can a Tractor calm our pranksters? Don't miss the colorful cars cartoon for children and watch all the series online for free!